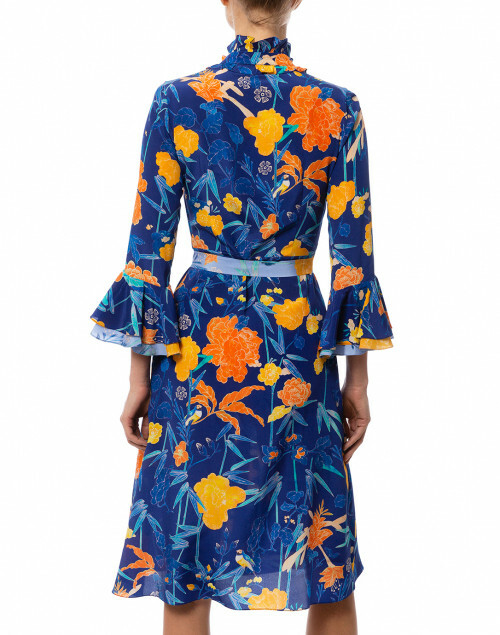 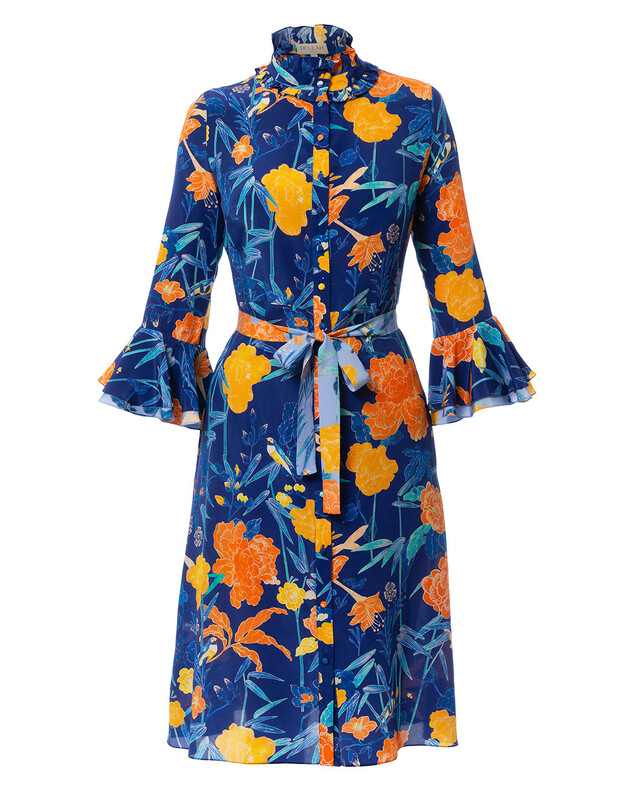 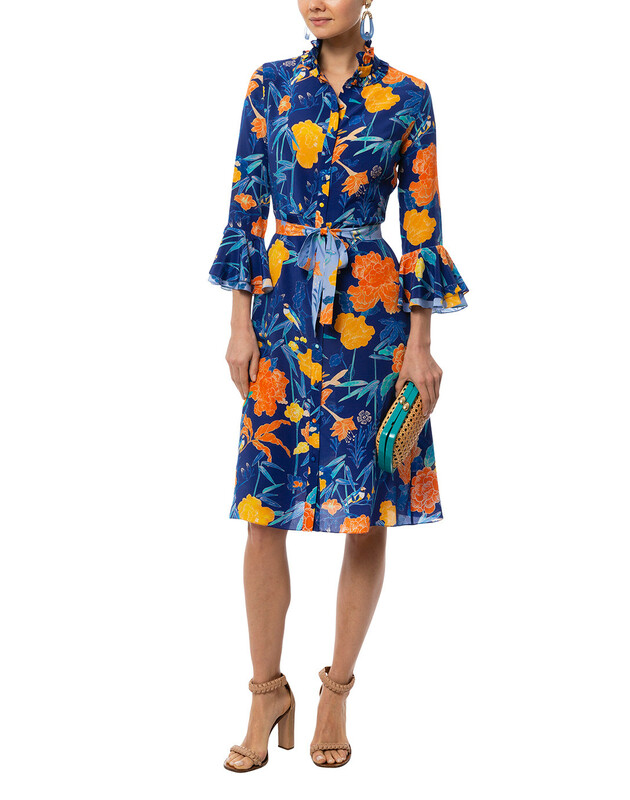 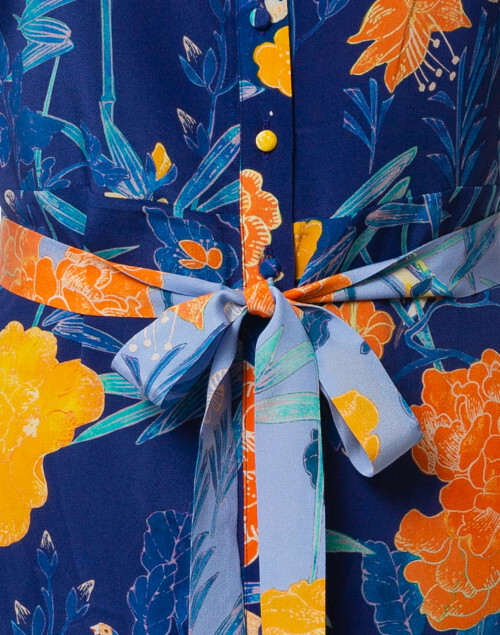 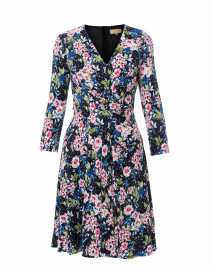 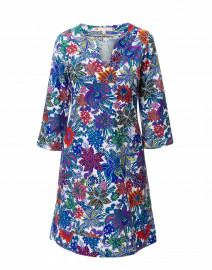 The Maia Navy Oriental Floral Shirt Dress is a signature Beulah London bestselling style. 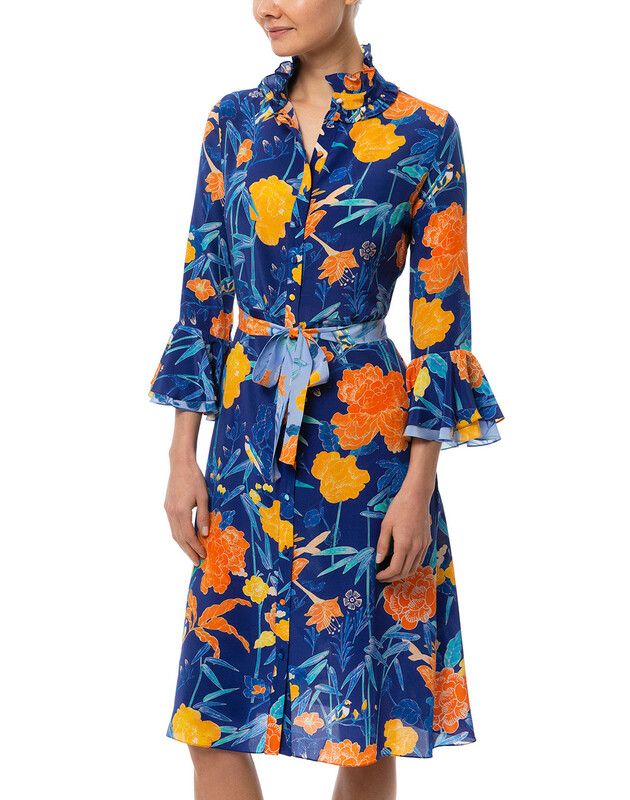 Produced in an Italian lightweight silk crepe de chine, this dark blue midi length printed shirt dress features a ruffled high neck, mid-length flared sleeves and delicate covered buttons at the center. 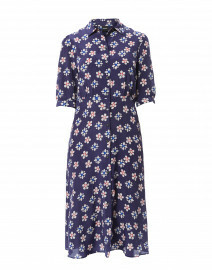 An adjustable tie waist allows you to wear this blue floral below the knee dress in a fitted or more relaxed fashion. 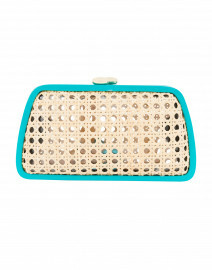 Style it with bright accessories for chic modern look. Waist 30" 31" 32" 33" 34"
Hip 33" 35" 37" 38" 39"
Sleeve Length 20" 20" 20" 20" 20"